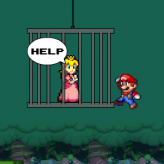 Embark on a journey with Mario and the gang to save Princess Peach from the evil grasp of the villain Bowser in Super Mario 64 DS! Super Mario 64 DS is an adventure platformer video game for the Nintendo DS (NDS) gaming console, and was released back in 2004. 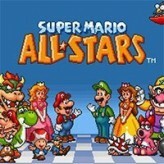 The game begins when a forged invitation was set up by Bowser to capture Mario and his friends. 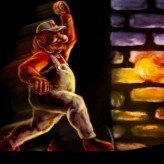 Team up with Mario, Luigi, Yoshi and Wario to defeat the evil Bowser and his minions and save Princess Peach! Power them up by collecting coins, caps, and power flowers! The game has three endings: one main ending and two alternative endings. The game features a single player mode, a mini-game mode, a training mode, and a multiplayer mode. Good luck! There have been 45,010 plays and 613 likes from 714 votes (86%) since 11/10/2017. 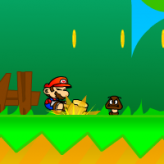 You are currently playing Super Mario 64 DS game for free on Arcade Spot. It is a single game out of a variety of games that you can play on Arcade Spot. 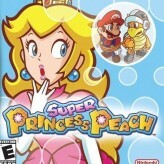 Play more games like Super Mario 64 DS in the Action, Arcade, Emulator, Mario, Nintendo DS, and Platform gaming categories. This game has a rating of 86 out of 100 based on 714 user ratings. If you enjoyed playing the game, give it a thumbs up. Free Online Games and Arcade Games are added every day. Arcade Spot will bring you the best games without downloading and a fun online gaming experience on the internet.